which can be quickly warmed to temperature in a convection oven for 2minutes or raw frozen, which can be deep fried and prepared to your specific requirements. 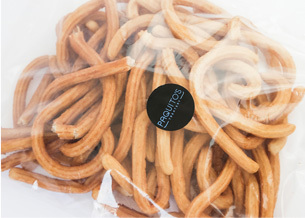 A 1kg pack of fried and frozen churros. Heat Churros in the oven and enjoy. 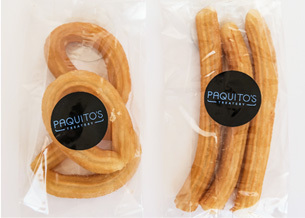 A pack of 3 fried or frozen churros. 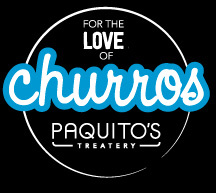 Heat Churros in the oven and enjoy. 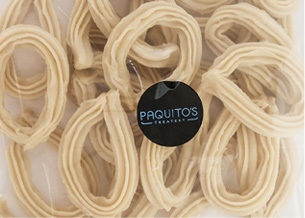 A 1kg pack of frozen churro. Quickly deep fry on high oil temp until golden. 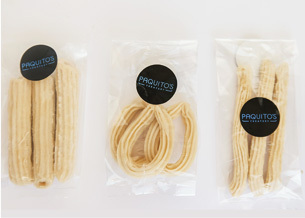 A pack of 3 frozen, raw churro. Quickly deep fry on high oil temp until golden.